Health News from Palmdale Regional Medical Center is a publication designed to bring you the latest news as well as health and wellness information you can use throughout the year. You can read the latest issue here, or sign up to have Health News mailed directly to your home. 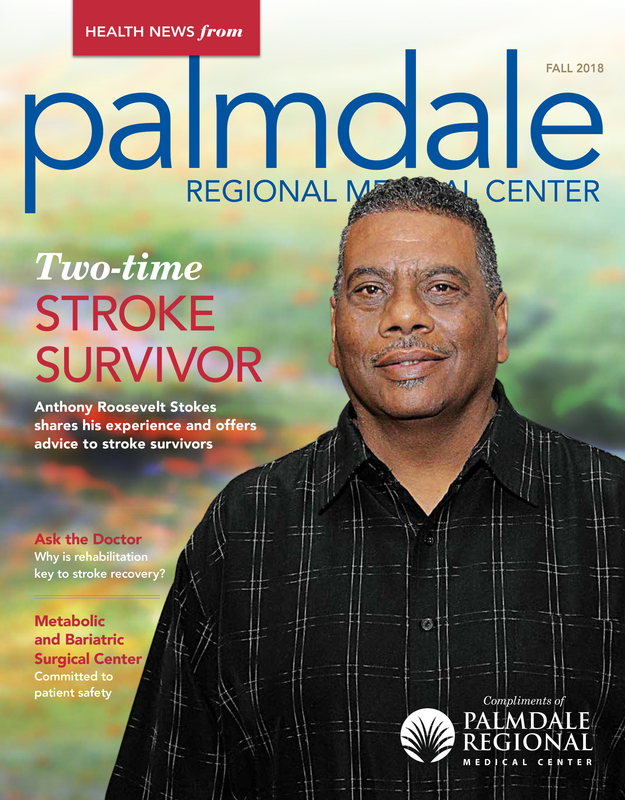 Palmdale resident Anthony Roosevelt Stokes shares his experience and offers advice to stroke survivors. Acute rehabilitation is a crucial part of continuing care for a patient who has suffered a stroke. Weight-loss program recognized for meeting and exceeding the national standards for patient safety and care.